Lower your workload and increase your profit margin with Call n’ Connect. We deliver an endless stream of qualified leads ensuring your business runs consistently and at maximum capacity. Each of our packages can include as much (or as little) as you need, utilising your client’s database to their full potential. By doing so, your internal team can focus on making the sales and generating more profit. Based on the Sunshine Coast in Queensland, Call ‘n’ Connect is a locally owned and operated by AdminlinkPlus, servicing small businesses Australia wide. We are supported by a team of people with a variety of skills, who will successfully manage the entire process for your business, all you need to do is wait for the leads to start coming in! Call ‘n’ Connect recognises the time constraints that many business owners face and the impact this can have on maintaining regular client contact. We believe that strong relationships are built by remaining in regular contact with your clients, past and present. In a competitive market, clients are easily tempted away by your competitors; however, loyalty will be increased if your clients know that you’re thinking about them. Furthermore, consistent contact can win over new prospects that may not require your service or products today, but will know you name in the future, when the time is right. The growing reputation of the Do Not Call Register can also encroach on your databases if they’re not kept up to date. The Do Not Call Register was established by the Australian Government in response to community concerns about the increase in unsolicited marketing calls to businesses and individuals. The ACMA (Australian Communications and Media Authority) is responsible for the register under the Do Not Call Register Act 2006. It’s a secure database where individuals and businesses can register their phone and fax numbers to indicate that they do not want to receive unsolicited calls. However, client calls may be made to individuals who have consented to receiving calls or where consent can be ‘reasonably inferred’ by an ongoing relationship with a certain business. Consent to receive future calls must be recorded on databases or such. Under inferred consent, people who have placed their telephone on the register may still receive calls from a specific business with which they already have an established relationship. Call ‘n’ Connect adheres to all legal requirements on your behalf this includes the ‘washing’ of all your databases through the Do Not Call Register prior to any client contact calls. Systematised client contact is an effective marketing tool; we specialise in lead generation, cold calling and appointment setting. We can assist with a full marketing plan including database tidy up, telemarketing campaign and follow up communication. We can compile a personalised database to suit your needs and required fields, using a system that suits your budget. For existing databases, we update all information and ensure it’s available for client communications and marketing. Washing of the Do Not Call register will guarantee legal requirements are met. Many developing businesses may initially use client cards, a rolodex or an excel spread sheet to store this information. And this works well, in the short term, within a small team. However, as your business grows, it may be time to consider a CRM. Furthermore, consider a cloud based CRM system which can be accessed in real time, using any device, anywhere in the world, and is always backed up. In the demanding day to day running of your business, and the ongoing pursuit of sales, there are a lot of relatively easy sales that can often be overlooked; past clients and contacts. These people have used your service or products in the past, so it stands to reason they will again. 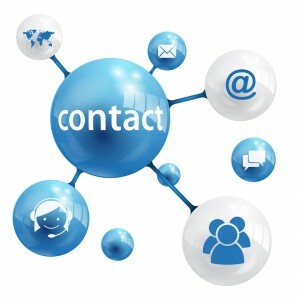 Maintaining regular contact through all available marketing mediums opens the options for return business. It’s non-invasive, thought-provoking and keeps you in contact, however, effective communications must have effective content, relevant to your business and therefore, relevant to you customers. Call ‘n’ Connect provides thoroughly researched and custom written corporate communications to promote your business, products and services. Call ‘n’ Connect recognises the increasing need for businesses to keep up with technology and use social media platforms as marketing tools that will enable a worldwide reach. When it’s executed correctly, social media marketing can increase leads and sales, and increase brand awareness. The Call ‘n’ Connect philosophy is simple: to provide a consistent and comprehensive service to small businesses that will create an ongoing supply of client leads, thus ensuring businesses will be operating at maximum capacity, and with increased profit margins. From a basic client contact to a more comprehensive service that includes Marketing and Administration services, we have the right package to suit your business goals and budget!